The funny pages are out! Would you like to see your ad here? Catch up with Bo Lumpkin, Mildred, Kurt & Burt and all the Gatorhead crew. Feel free to print and hand this to your friends and family. It prints on legal paper. Share a smile with someone today! You can also read Café Comics online on RedmundPro. Café Comics No. 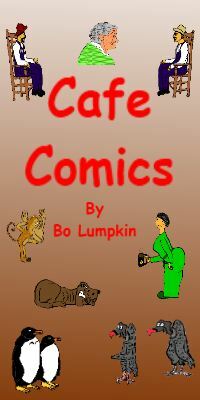 1 Bo Lumpkin Genre: Comics Get your sides aching with the country charm of Gatorhead Comics. Meet characters like Kurt & Burt, Aunt Edna and a whole kingdom of talking animals. Learn about life beyond the burbs. 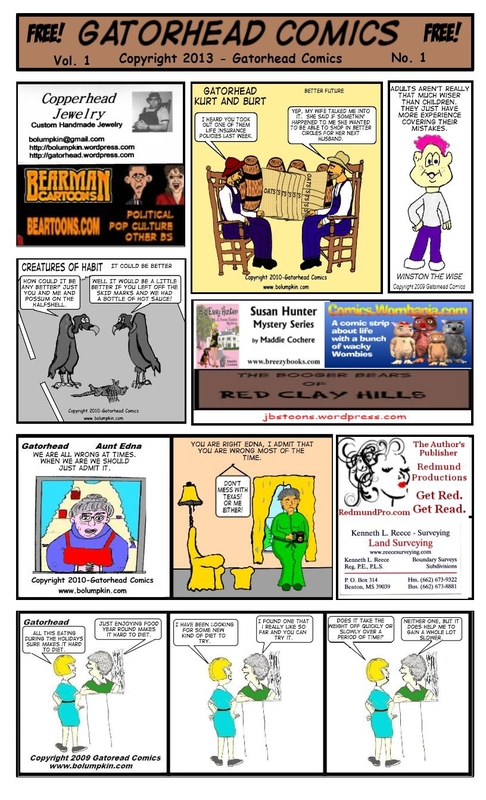 This laugh out loud serial of funnies is free to download and distribute in print. 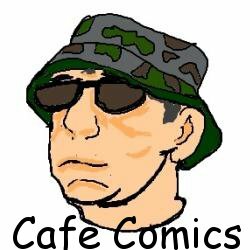 You may also view Café Comics No. 1 online.